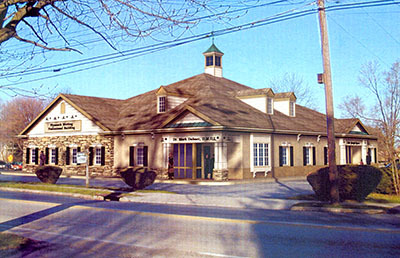 Dr. Newman was born and raised in the Plymouth Meeting area, and he attended Plymouth Whitemarsh High School. He received a Bachelor of Science degree from Ursinus College. Dr. Newman attended the Temple University School of Podiatric Medicine where he received his degree in Podiatric Medicine. Postgraduate training was performed at Nesbitt Memorial Hospital in Kingston, Pennsylvania. His Podiatric Medical office was opened in Plymouth Meeting in 1987. He also began working in Ambler, which ultimately became Ambler Podiatry Associates. Dr. Newman's emphasis is "We strive to keep you on your feet" by providing timely, caring and compassionate service. All facets of care are provided, serving all ages from infants to centenarians. Dr. Newman is board certified by the American Board of Podiatric Medicine and is a Fellow with the American College of Foot and Ankle Orthopedic Medicine. Dr. Michael Newman provides care in both the Plymouth Meeting and Ambler offices. Dr. Kohler joined Ambler Podiatry Associates and services surrounding communities. Dr. Kohler is board certified by the American Board of Podiatric Surgery. Dr. Denise Kohler practices in Ambler and the surrounding retirement communities.